Which software to make a virtual tour ? When the 360° panorama is stitched, it takes the form of a rectangular image with a 1/2 ratio embracing 180° × 360° if you shot the complete sphere. What can do more can do less, so that was our take on things in this guide. We'll now see how to turn this flat and distorted panorama into a nice virtual tour distortions-free. For that, we'll have to choose several important options but above all, we'll need virtual tour software. Complete virtual tour of the hotel and restaurant Bernard Loiseau at Saulieu, in Bourgogne . A virtual tour is thus a special panorama since it's on 360° × 180° in the best case, in a window of your browser or in full screen, with which you can interact with your mouse. You can zoom in and out, go in all directions, click links, go from one room to another, etc. thanks to a set of buttons visible at the bottom of the window as you can see above. Here are the key points to remember about virtual tour creation. The rest of this page is aimed at those who want to learn more. The major problem of virtual tour until then was cross-browser compatibility (Internet, tablets, smartphones). There are two ways to proceed indeed: in Flash, the past and in HTML 5, the close future. QuickTime is dead or almost for virtual tours and Java will be progressively replaced by HTML 5. Depending on what virtual tour creation piece of software you'll choose, you won't necessarily be compatible with all browsers. 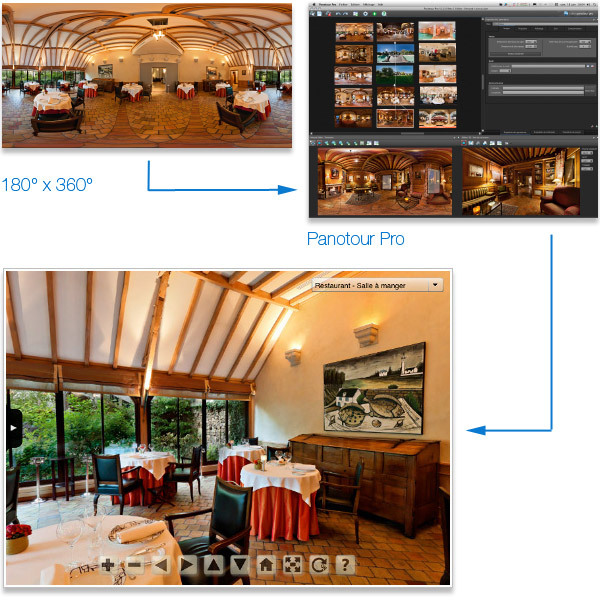 With the Pano2VR or Virtual Tour, the issue is now solved because it generates HTML 5! It was the most common and powerful extension. It seems that 2015 marks the end of this expansion. But we could do everything with her! It was light and did not require a heavy viewer to download. Almost every computer in the world, MAC, PC, LINUX, was compatible and had this viewer installed by default. It was universal until the arrival of smartphones and tablets, incompatible unfortunately, either for technical constraints or by choice (Apple does not want Flash in its iBidulles!). No defect for the user but obviously more for developers or technicians. Has been replaced by html 5, below. When a device is compatible with Flash and Java, this is totally irrelevant for the user. So we could be tempted to create all these visits in this format but then, in Panotour Pro for example, it becomes incompatible with the complete nonspherical panoramas (180x360 °). There is always something !!! The oldest extension of Apple in the world of virtual reality is no longer the most practical. To see a virtual tour in QTVR, it is essential to install the Apple Quicktime player on your computer and it weighs 20 MB. This is an undeniable obstacle to its development. Today, this extension no longer seems relevant to create and visualize virtual tours. The new html 5 has made everyone agree by its compatibility all media and its possibilities. This new format, has supplanted the other extensions because it is compatible with all browsers of computers, smartphones, tablets and more! Virtual Tour or Pano2VR use it. 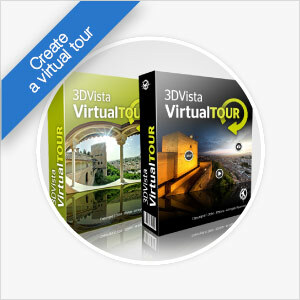 With this software it is now possible to create virtual tours compatible with all media. (1) : 32 bits only. (2) : depends on the browser and the plugins downloaded. (3) : to watch videos only and depends on the Android version. Less numerous than stitching pieces of software, virtual tour creation pieces of software evolve very quickly, especially since the closure of Kolor by GoPro and thus the end of the excellent Panotour. The size of the virtual tour, up to gigapixel. Note ! There is also a "Standard" version at 149,00 €, Necessarily limited in its possibilities. Note ! There is also a "Standard" version at 199,00 €, Necessarily limited in its possibilities. For each panorama, check if you want the whole image or perform a partial reframing of a less interesting part. Then create hotspots, in the form of sound, photos, html, links to another panorama, flare, videos, geolocalization, etc. Caution! Multimedia elements that can be integrated in the virtual tour depend on the version you'll buy. Then, you'll customize the whole virtual tour: choice of the buttons, the overall sound, Google Maps, radars, maps, miniatures, etc. Choose output settings: Flash or Java? Incorporated files or not? HTML 5 - New! 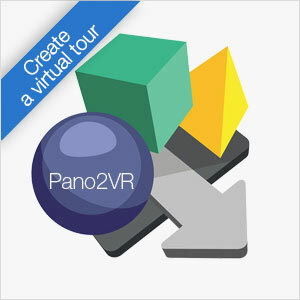 - Panotour Pro 2 is now able to generate virtual tours compatible with all devices. Flash or Java - very important - The only but important defect of Flash today is not to be compatible with new mobile devices like smartphones and tablets. However, a virtual tour compatible with an iPhone for instance can be viewed in any browser. It has a few limitations that should be fixed soon however... Flash enables, anyway, any boldness... Compatibility, always compatibility!!! XML - For people who are familiar with these kinds of files, the possibility to edit them enables to customize the virtual tour even more. For advanced users! 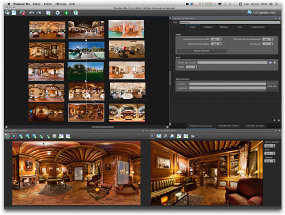 Compatible with gigapixel virtual tours - There's nothing special to do if your software can manage it but you need to anticipate the space it will take on your hard drive, where the virtual tour and its files will be saved.